Raytheon is expanding the footprint of its manufacturing center in Forest, Mississippi. A new building on the campus will be a hub for test, integration and production of s-band radars – including the U.S. Navy's next generation SPY-6, Air and Missile Defense Radar program. Raytheon is investing $100 million in the new 50,000 square foot Leadership in Environmental Design, or LEED, certified facility that will provide future growth opportunities across the company's diverse product portfolio. The new radar production facility will bring dozens of jobs to Forest over the next five years – including the potential for future personnel growth – in addition to many dozens of external jobs from the local community in support of the construction, supply and design of the facility. 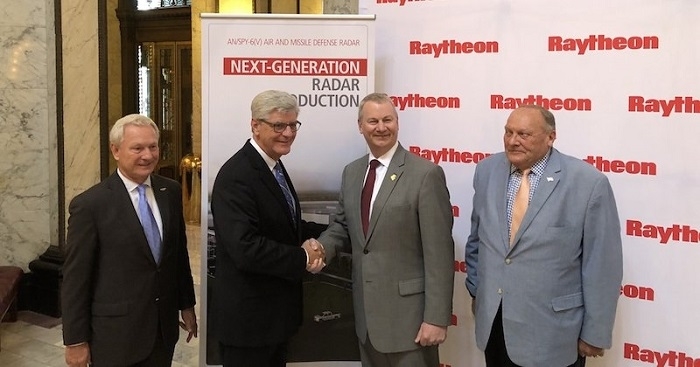 The facility will become the newest addition to Raytheon's existing Consolidated Manufacturing Center campus in Forest, Mississippi, which will continue uninterrupted delivery on critical commitments across the airborne radar and electronic warfare markets.